You are a space enthusiast. You have always dreamed of going into space for several days, months or years. You may have already collected information on what to do to become an astronaut. Despite your motivation, you do not really know how to go about being the ideal astronaut candidate and pass the selection tests successfully. You fear that your application will be rejected by astronaut recruiters or worse, ignored. However, the information is numerous on the internet, you have almost too much information ! So how can you optimize your chances of becoming an astronaut? This is what we will do for you: in the next 7 days, you will take a breath of fresh air. My name is Jonathan Gonton. I founded From Space With Love to help people achieve their space-related dreams. From Space With Love is supported by a community of over 50,000 space enthusiasts around the world. You will receive one email a day for 7 days then you will receive other space-related emails. Each email takes a few minutes to read and gives you a key strategy to build your project to become an astronaut. To register, select “Become an astronaut” below and fill in and validate the form. You will receive a confirmation email, click in it to confirm your registration. You can change your mind at any time by clicking the unsubscribe link in the footer of any email you receive from us, or by contacting us at jonathan@fromspacewithlove.com. We will treat your information with respect. By clicking above, you agree that we may process your information in accordance with these terms. 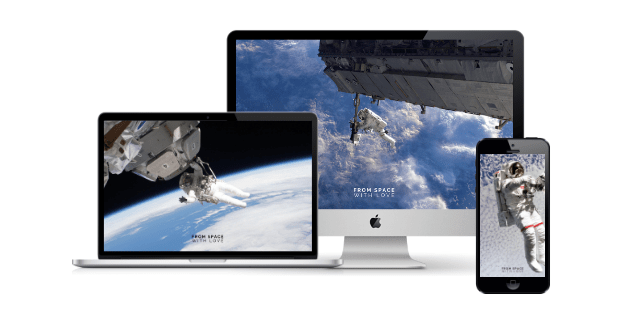 Immediately after your subscription, we will send you 5 free astronaut wallpapers for smartphone, PC and Mac (Retina) !